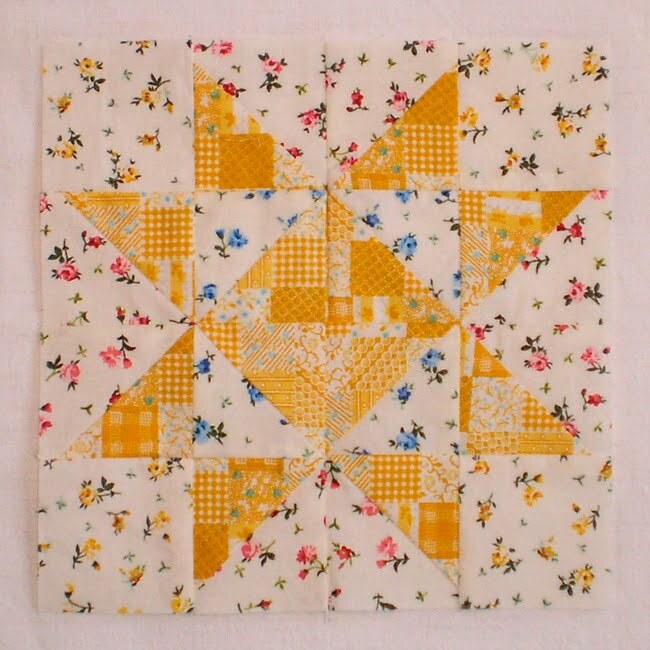 Today “The Blocks for Charity – The Lantern Project” appeal appeared on the Quilting Gallery website (Thank you very much Michele! ), so it’s just about time that I write a post about what’s been happening since the beginning of the project in autumn. The project has started, in which the children are trying out several creative handicraft techniques at the moment (with quilting techniques to follow). There are 15 children from the foster cares in the project (6 boys and 9 girls). This Saturday was the first occasion. 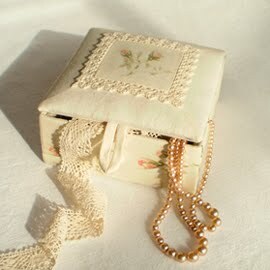 Each child made their own treasury chest, which they will use to collect their artwork for next three months. 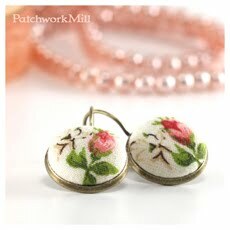 They also made their own badges and several other items made from beads. The team had huge pizzas for lunch at noon. They left some for the project leaders (and teachers) as well. 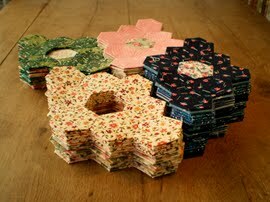 They are expecting 10 x 10 inch (25 x 25 cm) (+ seam allowance around it) blocks, with any kind of pattern. There is no restriction at all. They only asked one thing: if possible, use the color yellow in the blocks (as that color represents sunniness, cheerfulness and optimism). 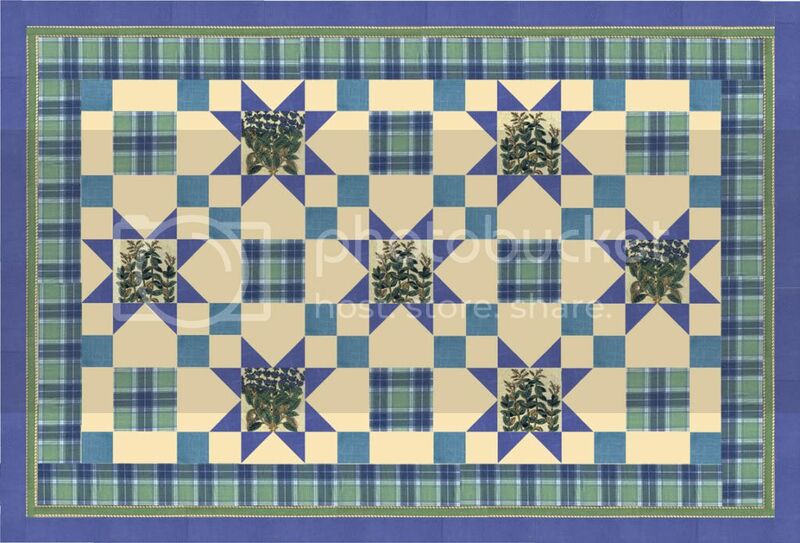 The creators should write their name on the back of the block (or attach a small piece of paper to your work with a pin), so they will know who the finished quilts can be thanked for. 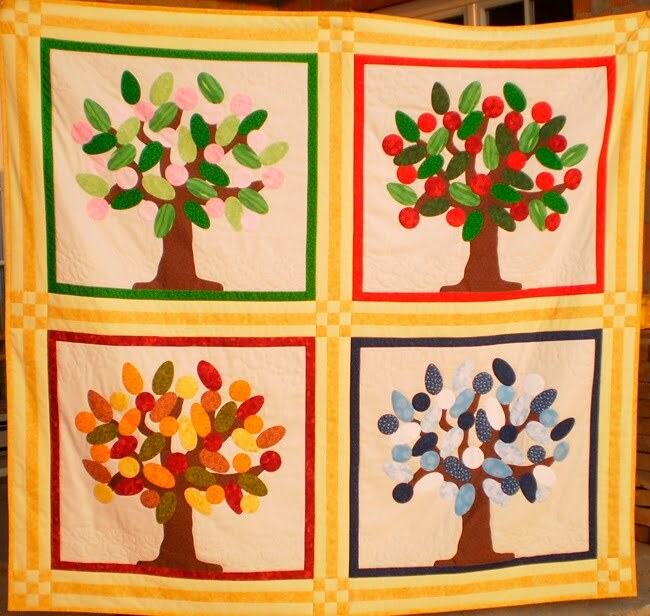 Four Seasons Trees – Finished! 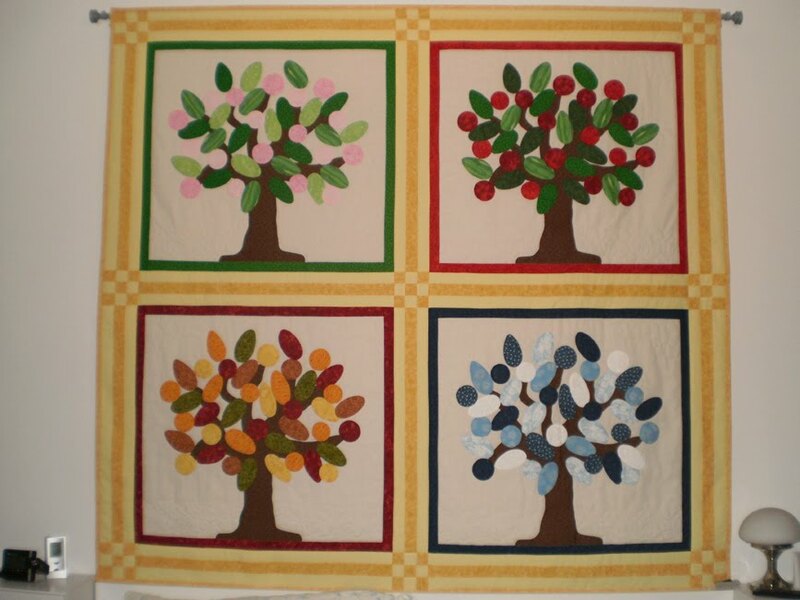 I’ve finished this huge wall hanging, Four Seasons Trees! I am so happy now! 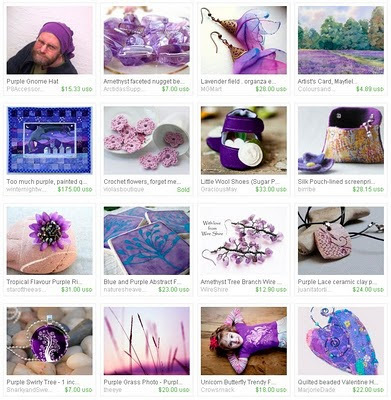 Continuing the Colors of the Rainbow: Violet and Blue! Well you may have guessed by all of the above that we are re-watching The Big Bang Theory, one episode a day. 23 minutes of laughter, it is a serious life-threat to watch it while eating or drinking. Status report: Wolowitz just got the Mars rover stuck in a ditch on Mars. 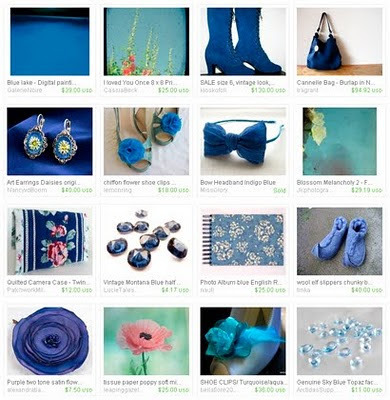 Wow, I almost forgot blue! And finally a bonus track just for you. Raj a little bit tipsy at this time. 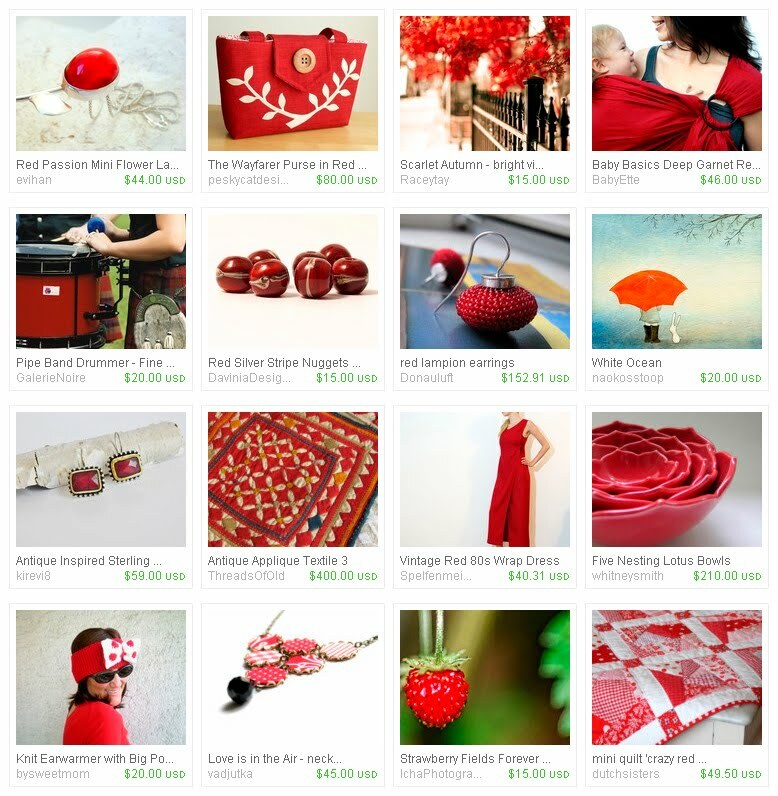 The Colors of the Rainbow – Red! 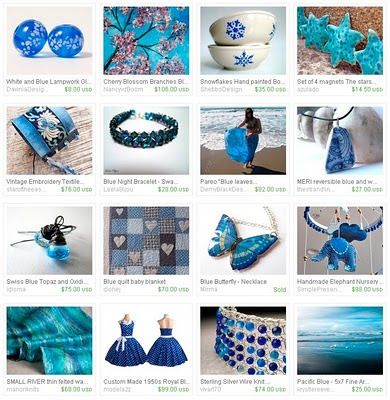 This is my 4th Treasury, I love these items! Valentine’s Day is coming, so the red colors are just timely anyway! 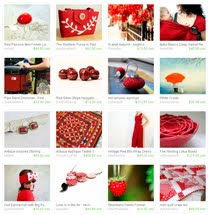 Click on this little picture to reach my fourth, red Treasury! 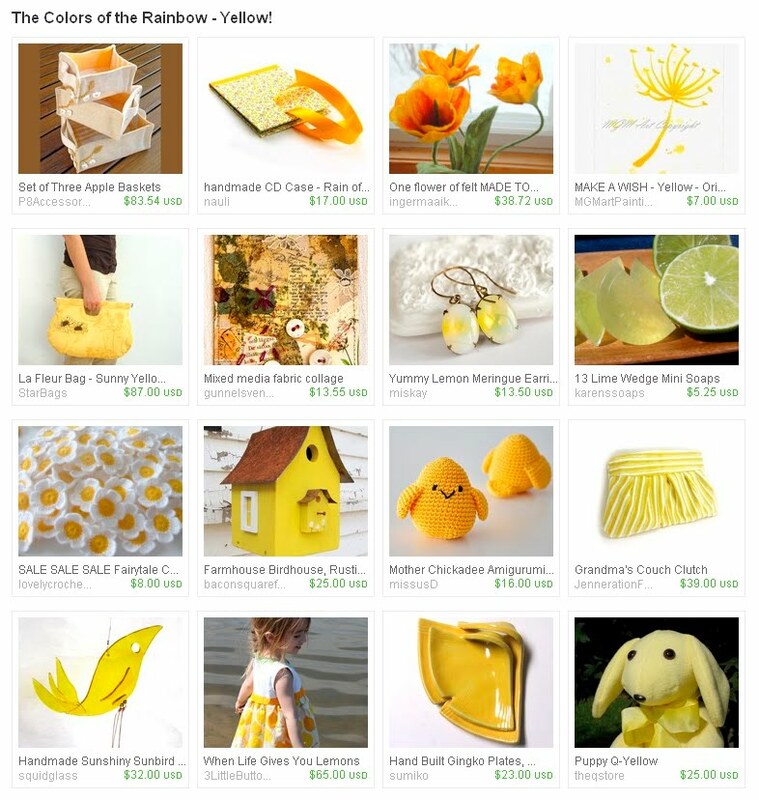 The Colors of the Rainbow – Yellow! 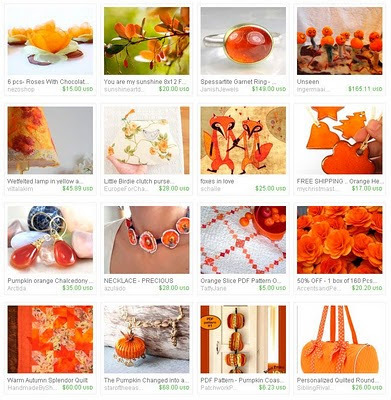 The Colors of the Rainbow – Orange! 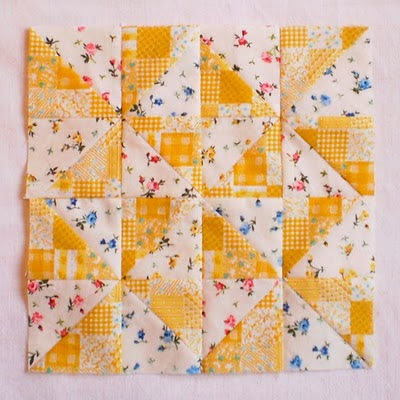 When I was still sewing the large wall hanging I probably made too much rounded down patches and I really missed the good old triangles, so I made the three blocks from triangles on Melinda’s appeal. You may read that in her blog (in Hungarian), I just copied some of it out here. Melinda, who posted the appeal is one of the leaders of „Nazareth” Social Service institution and she is a social worker herself, who helps families. They are taking care of about 500 children from all around Komárom-Esztergom county, whom get support in multiple forms of nurturing. The luckiest ones already got to foster-parents, but there are children homes with 20-20 children living in each and “Apartment-Homes” as well with 12-12 children living in them. 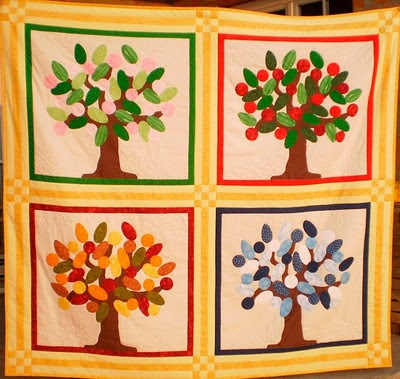 They want to make these Homes somewhat friendlier by decorating them with quilts. 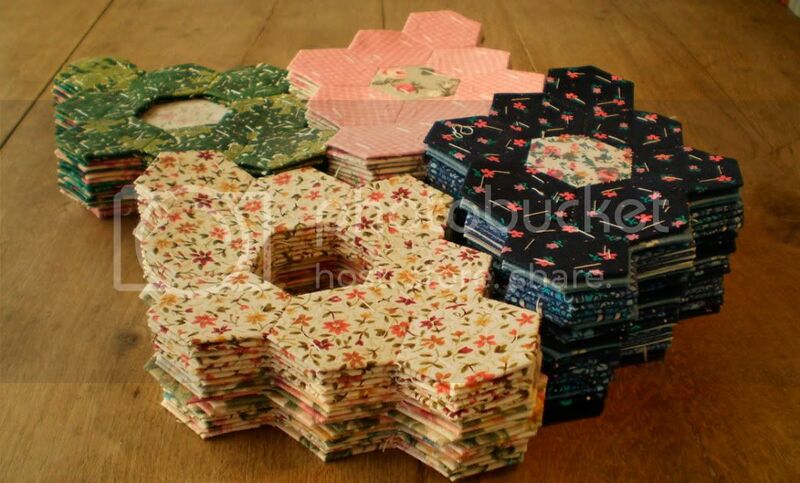 They are expecting 10 x 10 inch (25 x 25 cm) (+ seam allowance around it) blocks, with any kind of pattern. There is no restriction at all, they only asked one thing: if possible, use the color yellow in the quilt (as that color represents sunniness, cheerfulness and optimism). The creators should write their name on the back of the block (or attach a small piece of paper to your work with a pin), so they will know who the finished quilts can be thanked for. 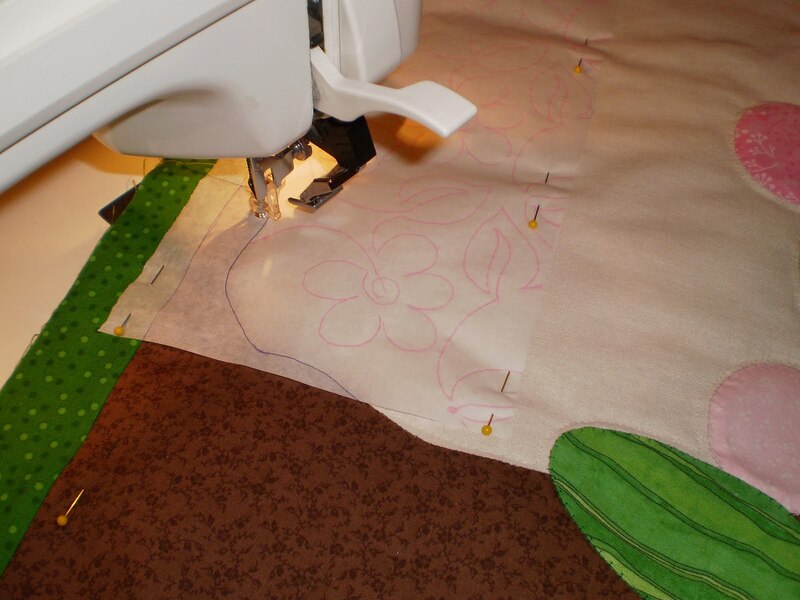 Sewing the blocks together is done by both members of Melinda’s quilting group (Folt-Volt Klub) and the people who work in the Home. 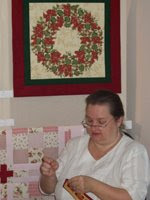 Another purpose of this event is to teach them the basics of quilting as well. By using the blocks from fellow quilters, even beginners can finish with amazing looking works and by experiencing the helpful nature of the quilting community, they might get the appetite to start doing patchwork. Of course this wont go overnight, but it would be great if every Home had a sewing machine and someone who both knows how to use it, and enjoys doing so. 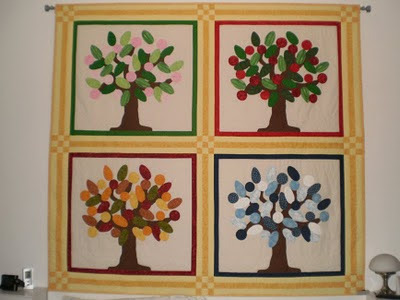 Thus quilting would turn into an activity that creates both communities and values for them as well. 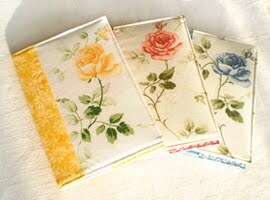 It’s certain that the children would like to work with fabrics on a level that is appropriate for their age. 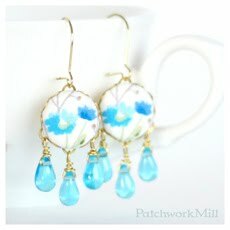 To have a pleasant start, they would also happily accept cheerful mooded wall hangings as well. 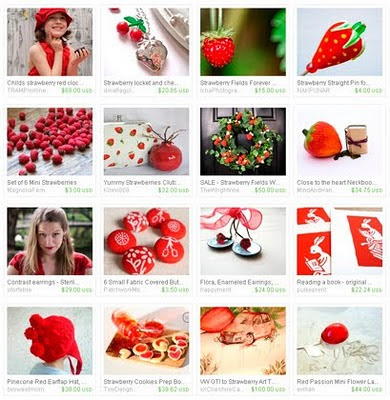 They constantly upload pictures and written posts about the help they get, the supporters and the current situation of the project on both Melinda’s blog and the Hungarian Patchwork Guild website. So I created the three blocks for this appeal. 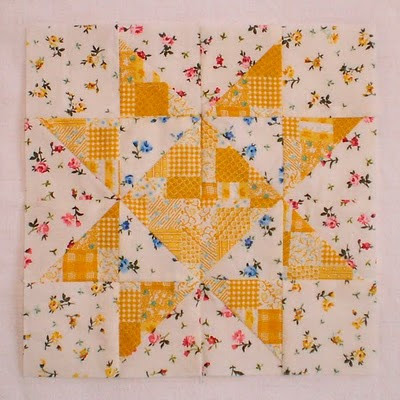 I used a cheerful yellow fabric as a base for which I got some more fabrics with small flowers. 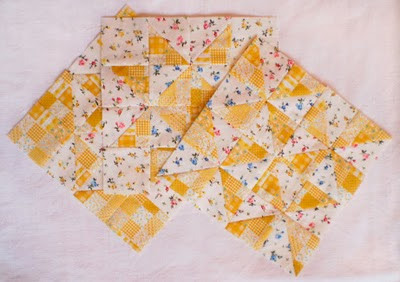 I sewed with quick piecing the triangles and played around creating the three kinds of blocks. 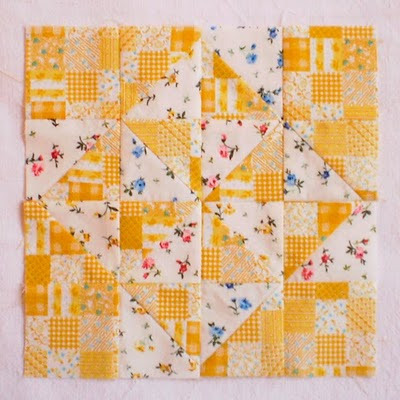 It was pleasant to work with the yellow fabric as it brought up some nice memories: I bought it in Biloxi (USA, Mississippi) when we first visited a Jo-Ann store. 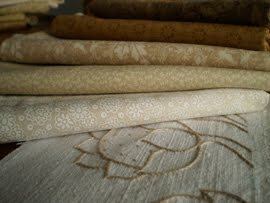 Now we have some shops in Hungary with nice supplies and fabrics, but right then in 2000, when I saw how these quilting fabrics got their very own wall with a several yards long shelves, piling up the “green ones” and the “yellow ones” etc. – well I could hardly take a breath. Back on topic: as I discovered, my math knowledge is pretty dusty, I probably miscounted when I tried to recalculate my plans into inches (I must plan in inches as all of my tools use them). So the end result: 22 x 22 cm (8 ½ x 8 ½ inch) blocks, so I was really glad when Melinda told me that they are happy for every block. The group are constantly waiting for blocks so anyone can join anytime they want! But look at these oranges! 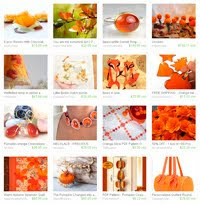 Click on this little picture to reach my third, really orange Treasury! 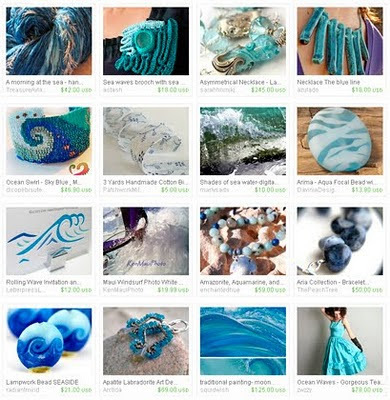 If you guys remember my first Treasury was about Rainbow and I had the idea to go through all the colors of the rainbow, one by one. 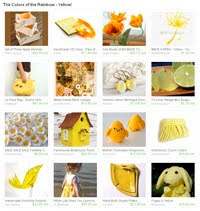 I started with the yellow one of course, look how sunny and cheerful it is! 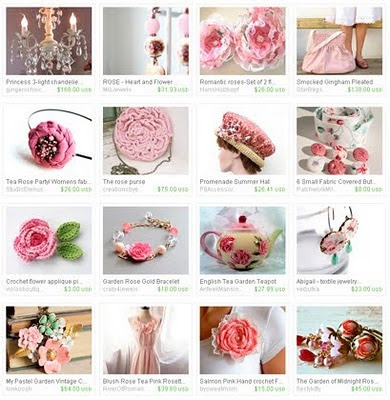 Click on this little picture to reach my second, sunny Treasury! Four Seasons Trees – Work in Progress 3. The following picture shows a great comeback to all who told me that I collected too many home decorating and gardening books in the past years. 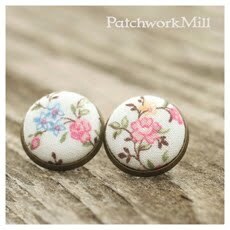 It really shows now that they can be quite useful in numerous situation! 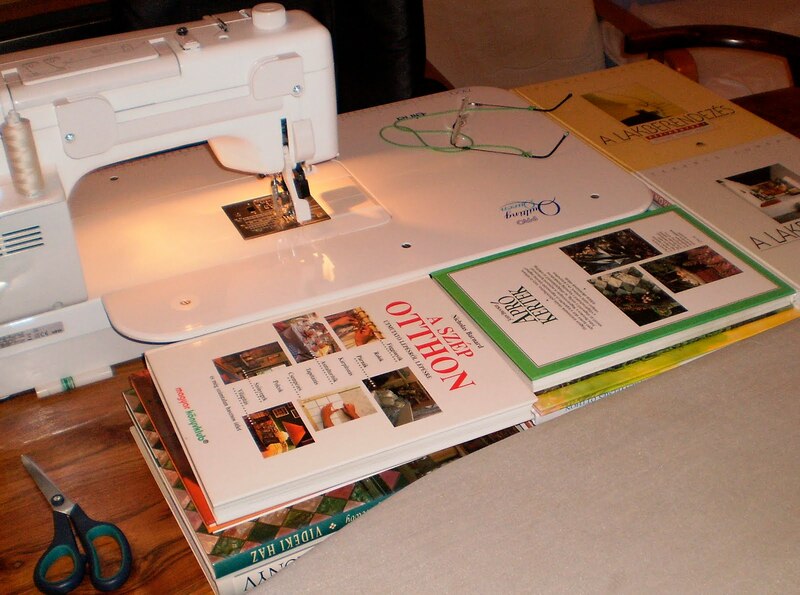 I expanded the sewing surface with them (and the ironing board), making it easier to move the larger sized “trees” during quilting. 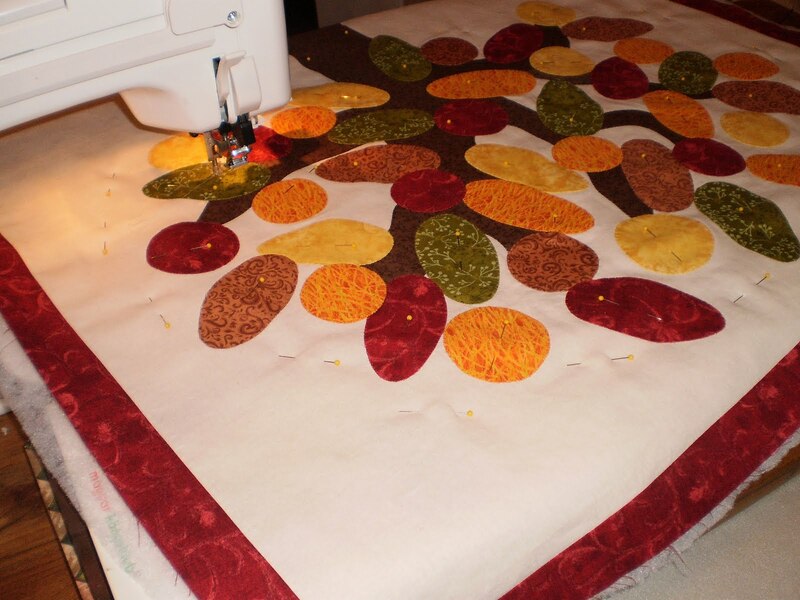 This wall hanging was pinned with straight quilting pins, as even though my curved safety pins are less dangerous they leave too big holes afterwards. I was afraid that they would leave their marks on the light area around the trees. As a result I stung myself quite a few times during work. Nothing is perfect. I was planning flowers and fruits under the trees but as I’ve done very little free motion quilting so far, I was afraid to just “draw” with my hands all loose. Instead I used a very thin paper to draw the pattern for myself that I could use later for the free motion quilting. Of course it was not easy to rip off all the small pieces of paper afterwards (I had to use a brow clip also ☺), but looking at the result I believe it was worth the trouble.